Extended and improved. 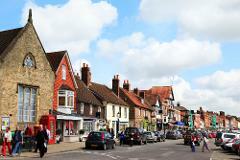 Step back in time with us, as we head first to one of our favourite stopping places, Marlborough. This archetypal English Market town has that 'film location' quality and is a great spot to stroll around and enjoy a nice lunch. 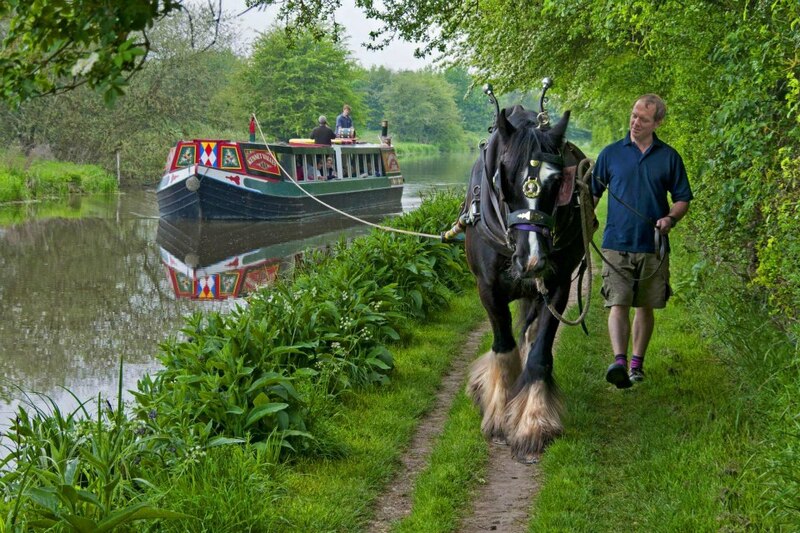 In the afternoon we head to nearby Kintbury and board the 'Kennet Valley' horse drawn barge for a 2 ½ hour cruise along the beautiful Kennet & Avon Canal. This wide beam passenger boat was purpose built for carrying passengers and is powered solely by the towing action of the horse making for a tranquil journey. Facilities onboard include a well stocked bar serving tea, coffee, soft drinks and beverages. Whilst on board we have included a cup of tea & slice of cake for you! Image courtesy – Kennet Horse Boat Co.